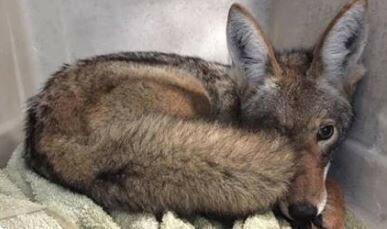 Before we go any further – coyotes do NOT make good pets. But they may be good as imaginary pets. 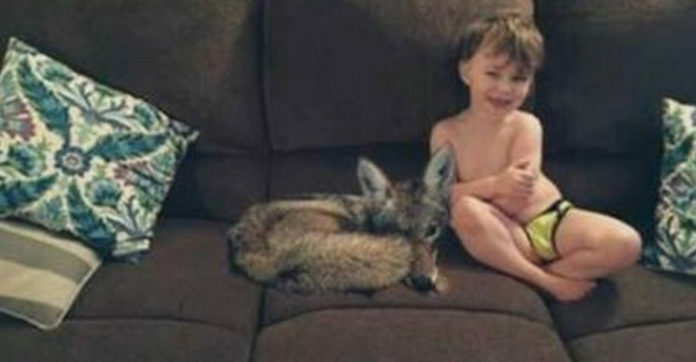 Say you are good with photoshop and have a husband that may believe you would let a coyote into your home and sit on your couch next to your young child. 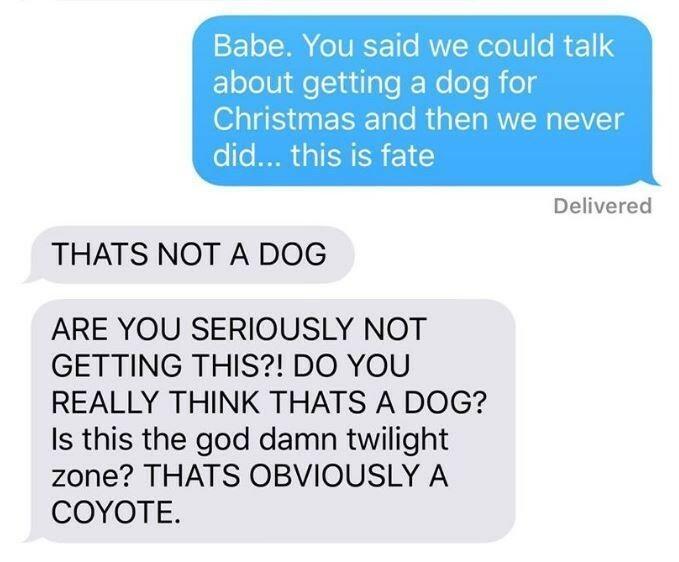 Then, maybe a coyote would be a good pet. Kayla Eby is from Seaside, Oregon. She shared this photo on Facebook and shared it with her husband. Kayla is a whiz with photoshop, as you can see. The caption said that she had found this cute little dog outside without any tags. She asked her husband what she should do. Her husband sort of lost his cool! 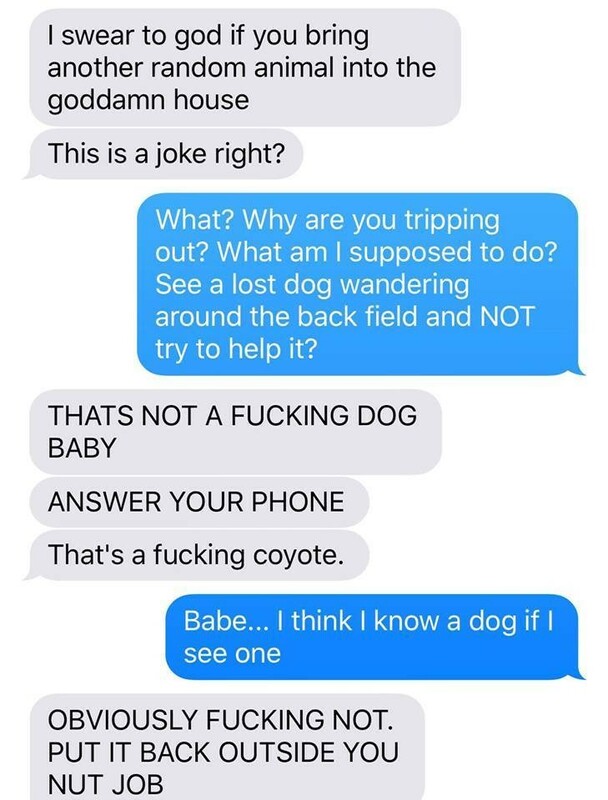 He tries to tell his wife that the animal she has found is NOT a dog. Kayla plays her part well and ignores him.